How Do I Adjust Bread Machine Recipes for High Altitude? Baking your own bread is a culinary hobby that can have delicious and healthy results. However, not all kitchens have the best baking environment to produce a risen crusty bread. People living in high altitude areas already known they must make certain changes in measurements and temperatures when they're baking in the oven. But how can people make sure that their bread machine recipes also turn out properly at a high altitude? As most recipes are made for areas that are at sea level they must be changed for areas that are five thousand feet above sea level. The air pressure is lower and the atmosphere is drier, which means that many factors are different, from the temperature at which water boils, the cooking to the baking times of certain foods, and temperature at which certain foods should be cooked. Bread machine baking is no different from oven baking in this way. If you've failed to produce a crusty, nicely risen loaf, there are plenty of variables you can play around with. It is possible to produce a proper loaf of bread at high altitudes as long as you're willing to tweak a recipe. To find out what changes you might be able to make to improve your success with high-altitude bread machine baking, we turned to three sources: Zojirushi, the University of Wyoming and author Beth Hensperger. Stick to smaller-sized loaves, since the proofing time for larger loaves tends to overproof the loaves in high-altitude climates. For fallen loaves, in addition to decreasing the yeast and/or the sugar as Zojirushi suggested, try increasing the salt by 1/8 teaspoon per 3 cups of flour. If possible, program your bread machine to include a third or fourth rising period. Add a little more salt to control the growth of the yeast, and gluten to strengthen the dough. If you're baking your bread-machine bread in a conventional oven, increase the temperature by 25 F.
Incorporate a few of these changes at a time, until you find the combination that works (and make sure to take notes so that you can remember for next time). 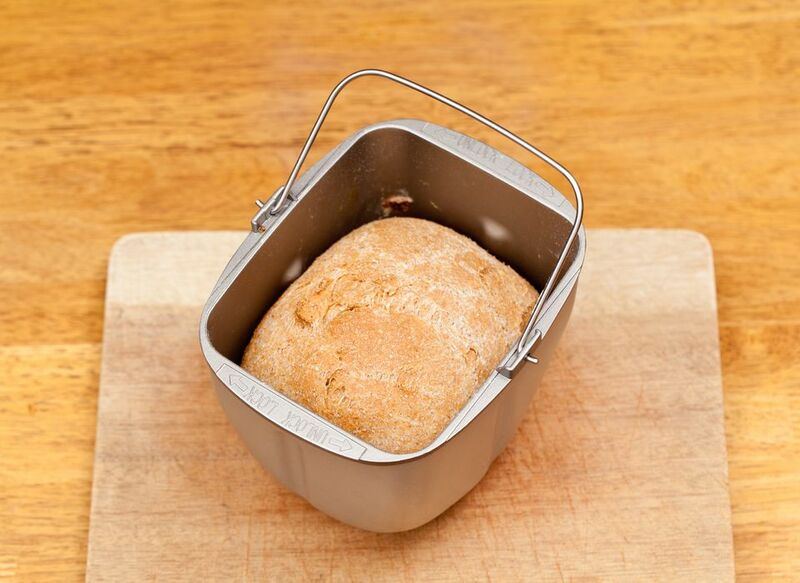 Experimenting with these tips will have you making perfect loaves of bread in no time. Why Does Bread Turn Chewy When You Microwave It? Consider This Before Buying a Juice or Smoothie Machine! What Cookware Is Compatible With Induction Cooktops?